Periodically I have visited the Hawaiian islands of Maui and Kauai, photographing their spectacular landscapes, flora and fauna. 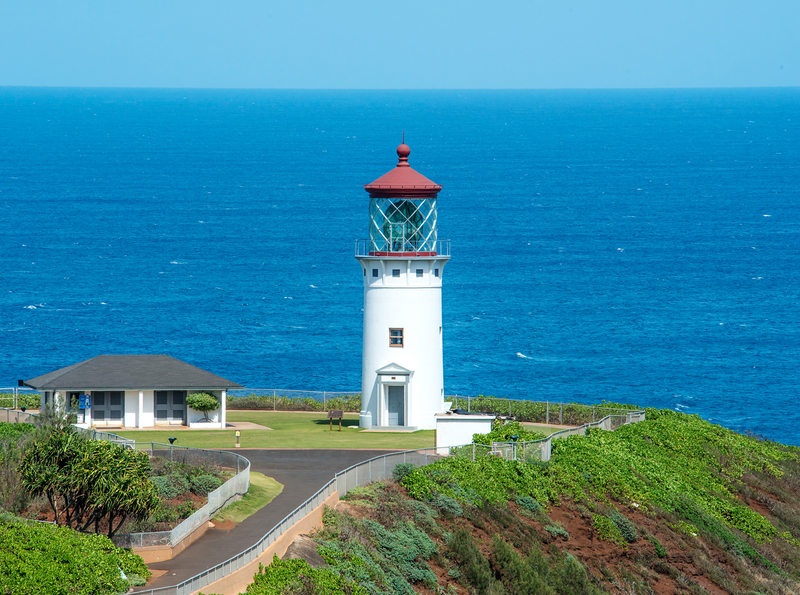 Kauai, sometimes referred to as the Garden Isle, is the oldest and furthest northwest of the inhabited Hawaiian islands. 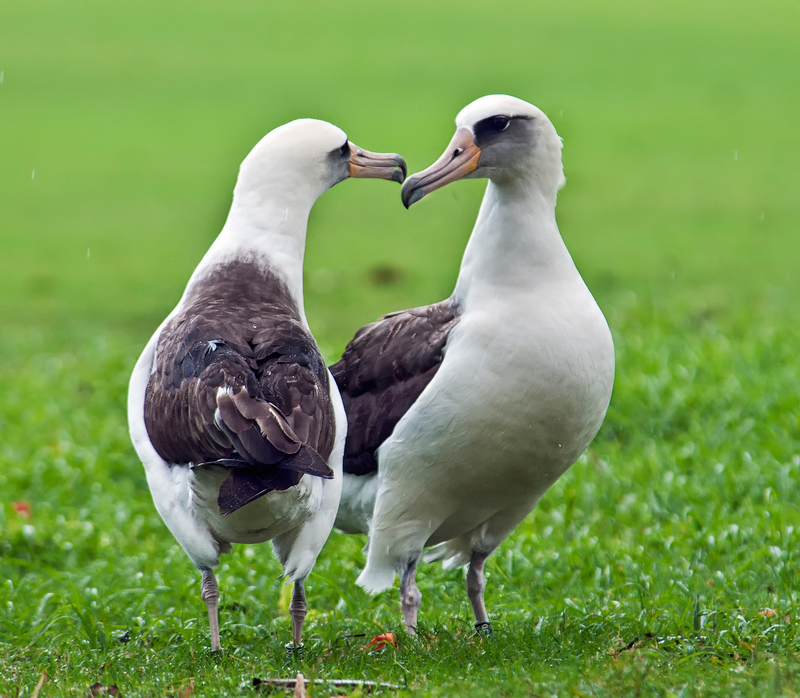 The most eroded of these volcanic islands, Kauai features lush vegetation and beautiful mountains, cliffs, waterfalls and beaches, providing ideal nesting sites for many species of birds. Maui, also known as the Valley Isle, is the second youngest of the Hawaiian islands and is located northwest of the big island of Hawaii, from which it is separated by a 26-mile-wide channel. Maui was formed by two volcanoes: the volcano that produced the somewhat eroded West Maui Mountains, and the giant Mount Haleakala, 10,000 feet high and about 30 miles across at its base. 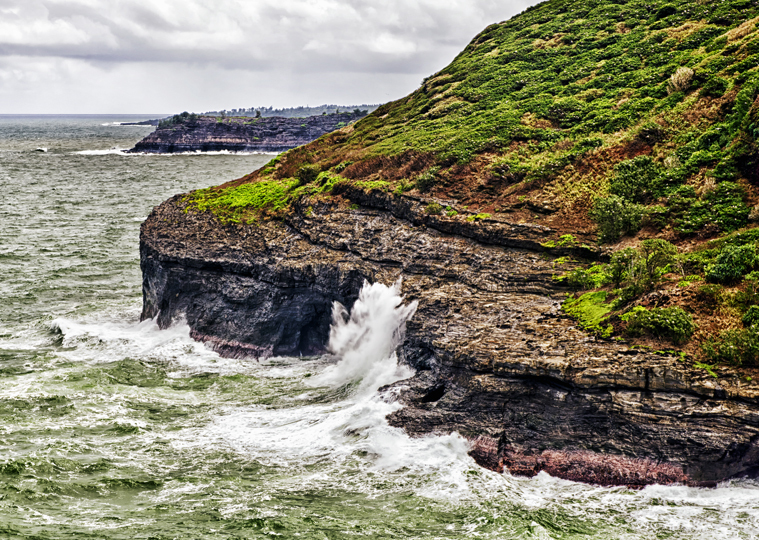 The two sections of the island are separated by a flat isthmus, or valley, giving rise to the island’s nickname. 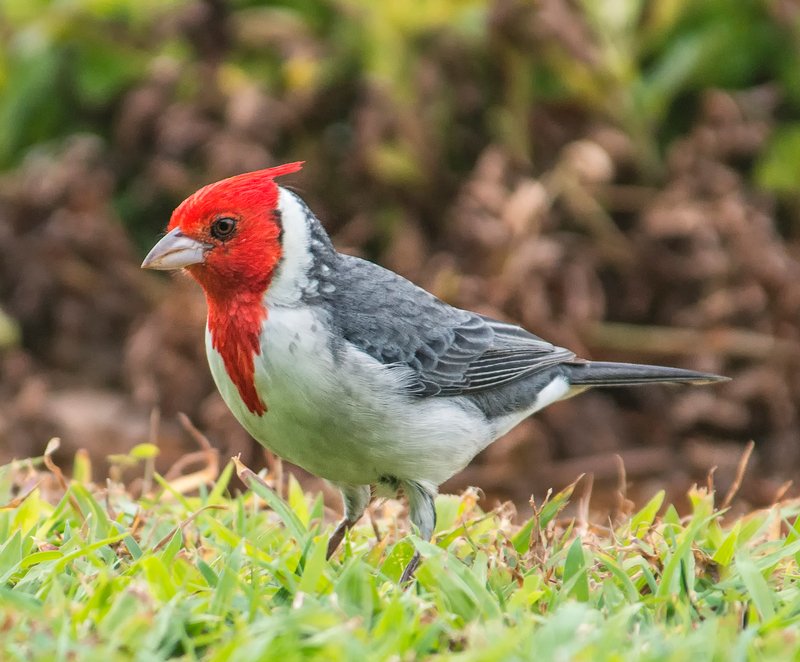 Despite the similarity of names, the red-crested cardinal is not a close relative of the all-red (in the case of the male) northern cardinal (Cardinalis cardinalis), which is found throughout the eastern and southeastern US, southeastern Canada and parts of Mexico. 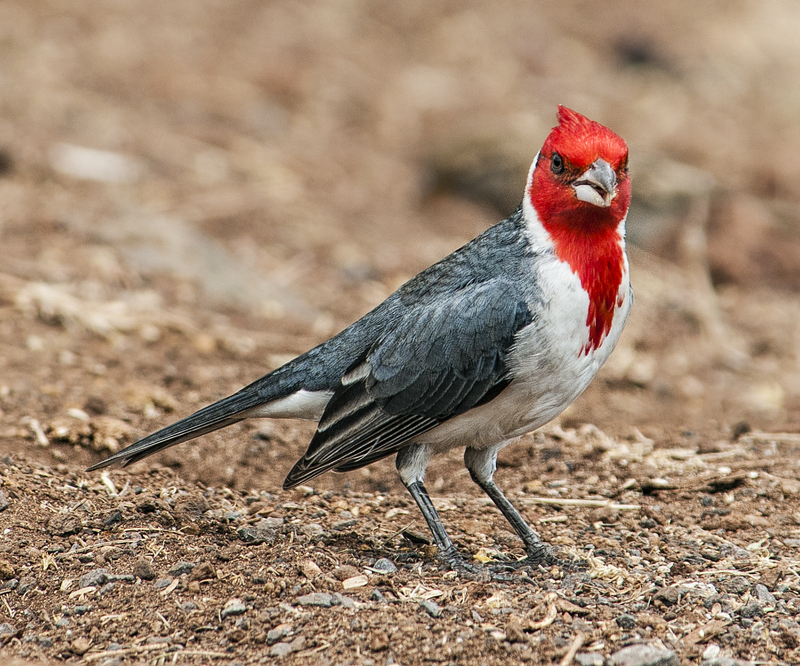 Not only are the two species not members of the same genus (Paroaria vs. Cardinalis), they are not even members of the same family (Thraupidae vs. Cardinalidae). 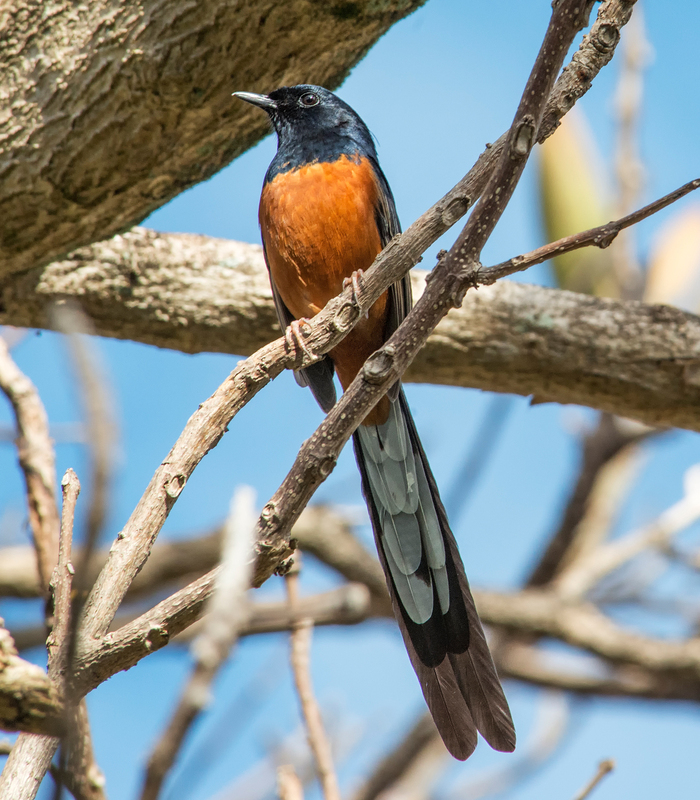 The champion songbird of the islands is clearly the white-rumped shama (Copsychus malabaricus). 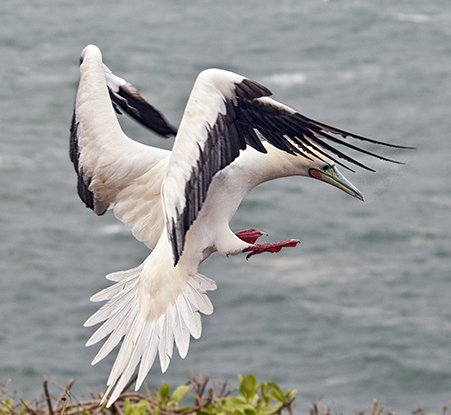 Native to India and Southeast Asia, these birds were introduced to the island of Kauai from Malaysia in 1931, and later to Oahu. They have a distinctive, complex and beautiful song that is readily recognizable. 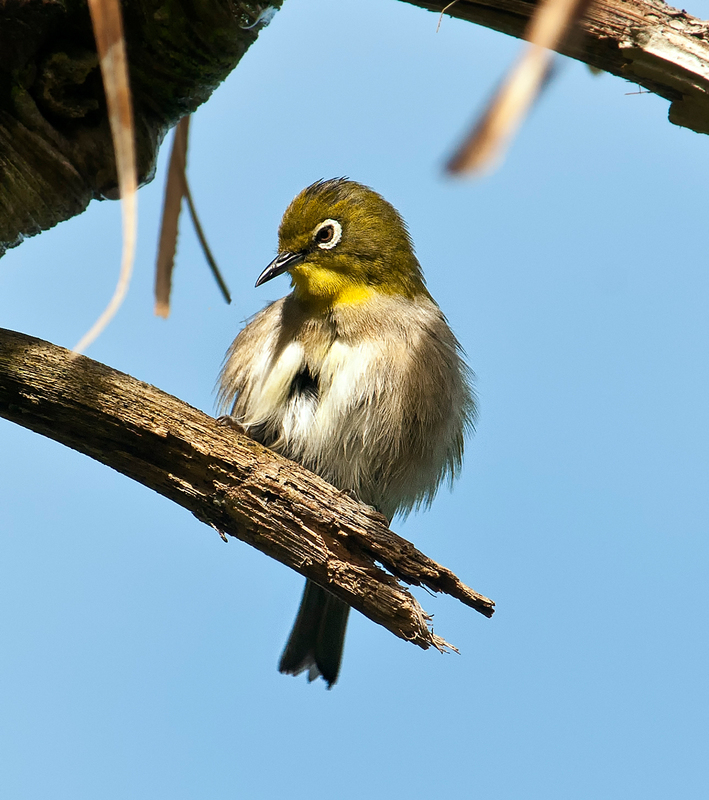 The Japanese white-eye (Zosterops japonicus) is a small perching bird that was introduced to Hawaii in 1929 to control insects. 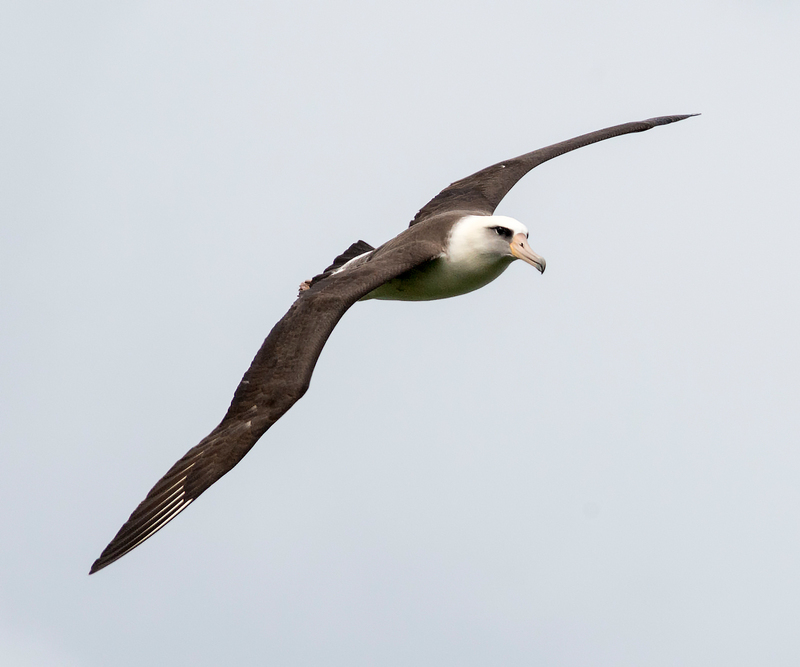 Today their numbers throughout the Hawaiian Islands have increased to such an extent that, by consuming a large portion of the available food supply in some areas, they have reportedly become a threat to native Hawaiian species of birds, which have suffered stunted growth and reduced populations. 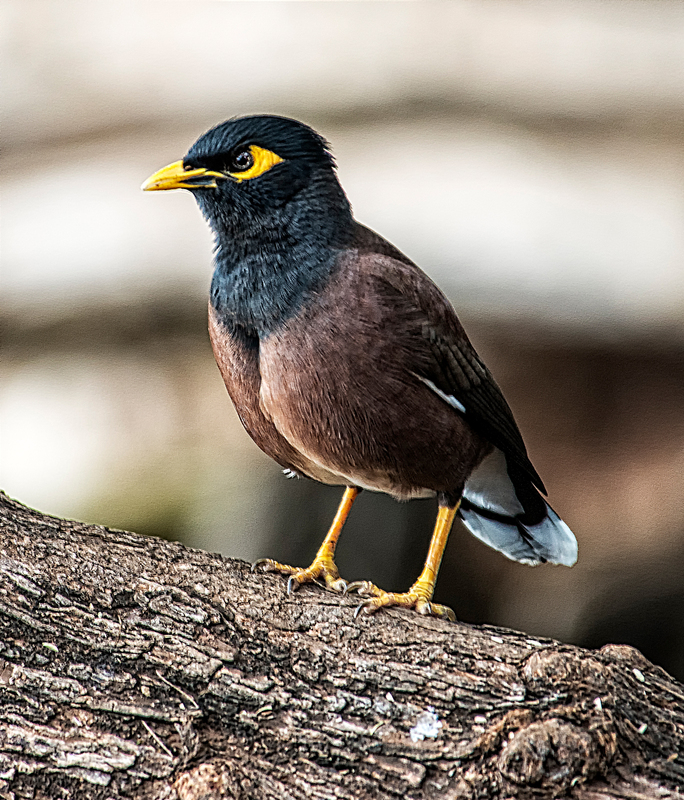 Another non-native bird which is now very common indeed in Hawaii is the common myna (Acridotheres tristis tristis). 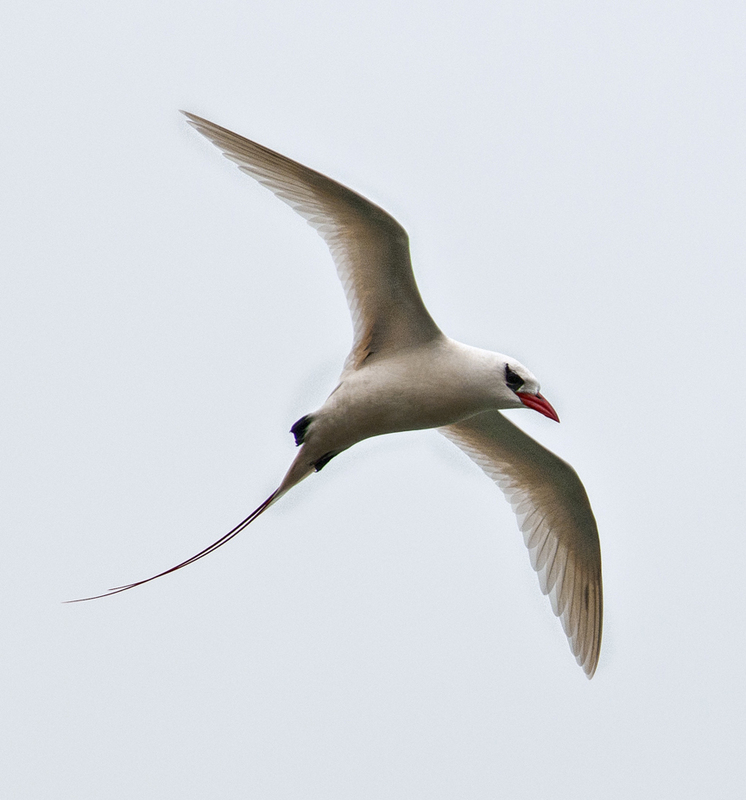 These birds are native to south Asia and were introduced to Hawaii in 1865 to control an infestation of army worms. 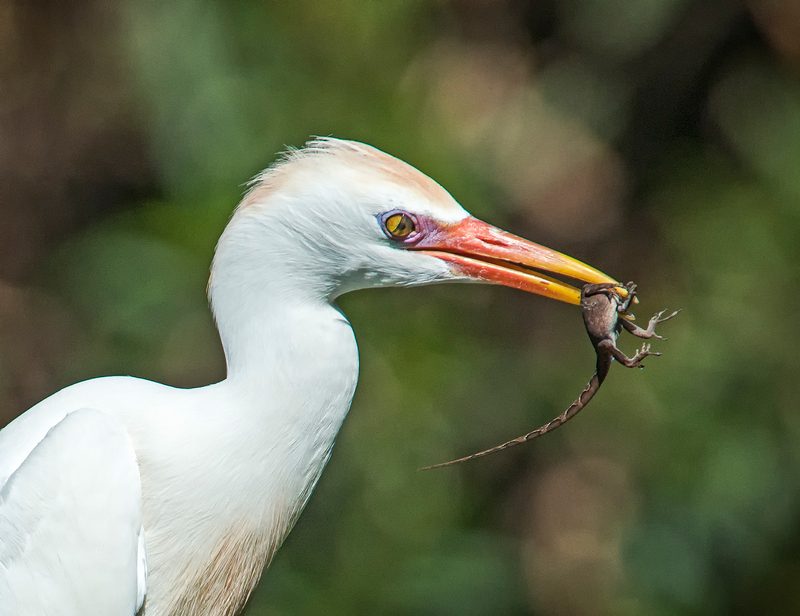 They are aggressive, gregarious, noisy and omnivorous, and are widely viewed as an invasive species and a pest. 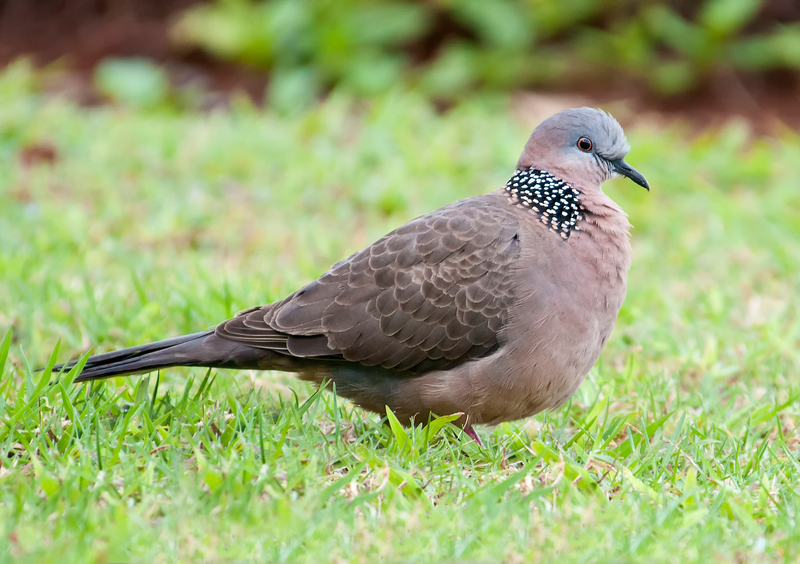 The spotted dove (Spilopelia chinensis) is commonly seen foraging on the ground throughout the Hawaiian Islands. 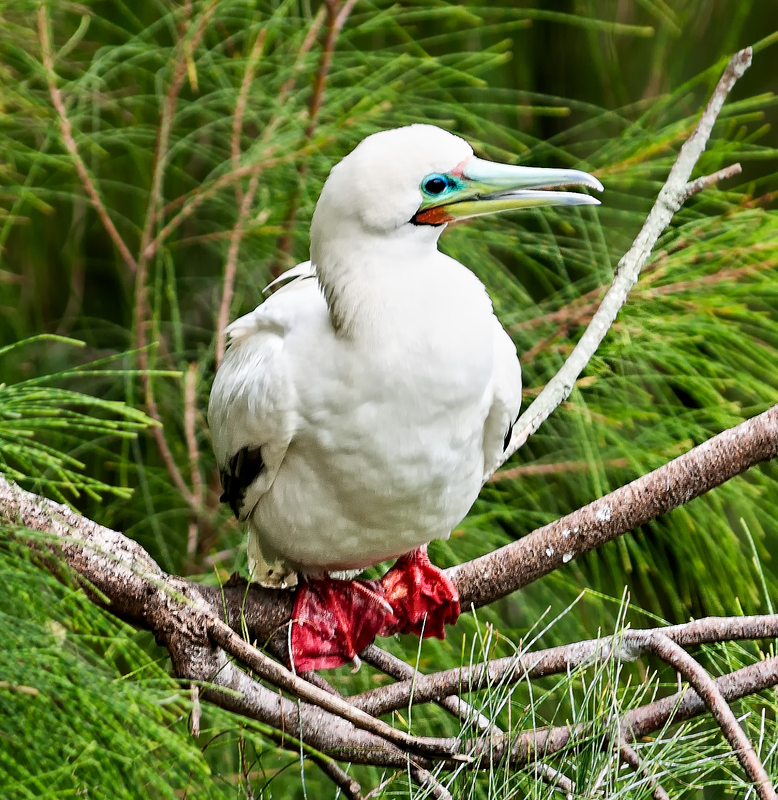 Originally native to the Indian Subcontinent and Southeast Asia, it was probably introduced to Hawaii from Southeast Asia in the late 1800’s. 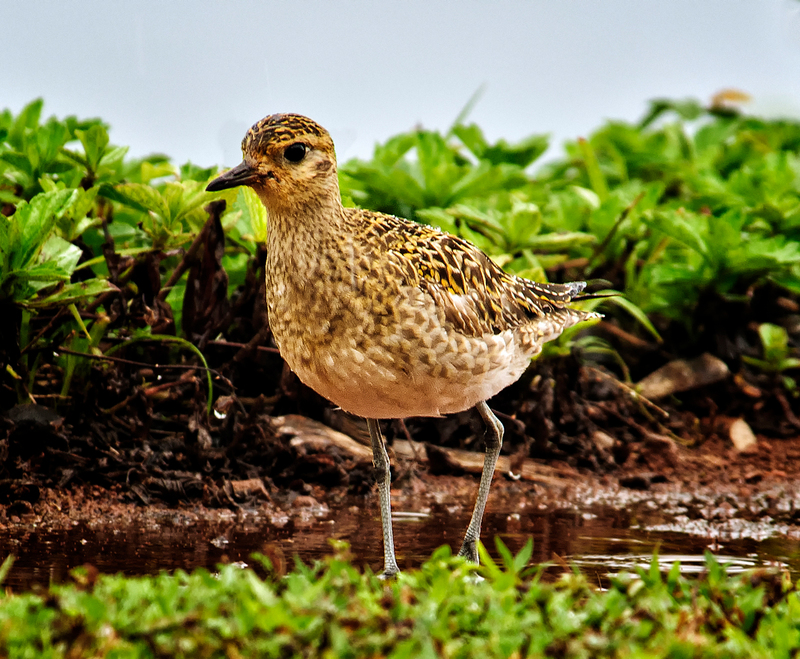 Seen below is the Pacific golden plover (Pluvialis fulva), known in Hawaii as the Kolea, in non-breeding plumage. 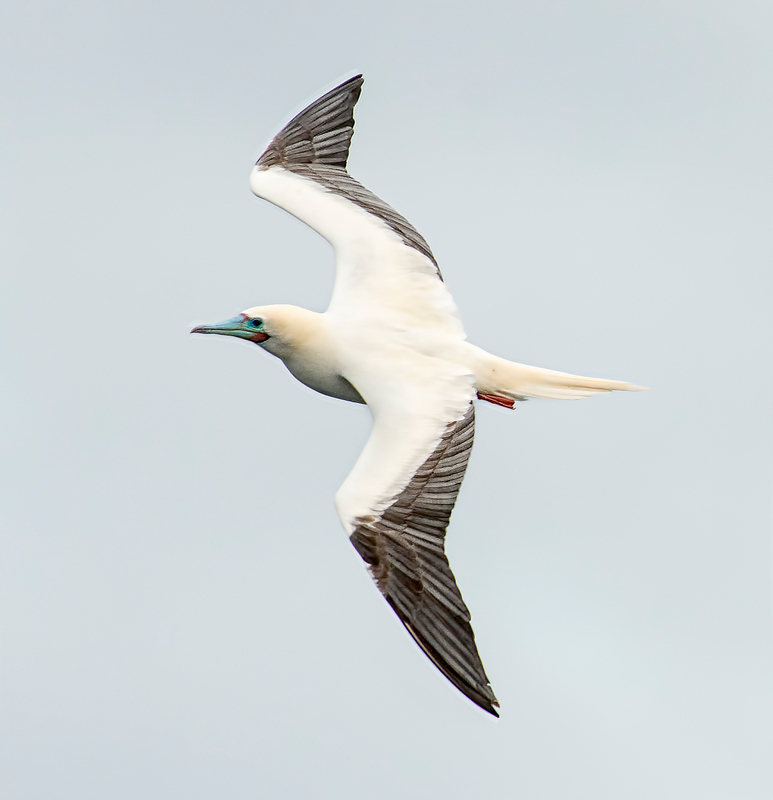 These birds are migratory and spend the summer months (May through August) in Alaska, where they breed. 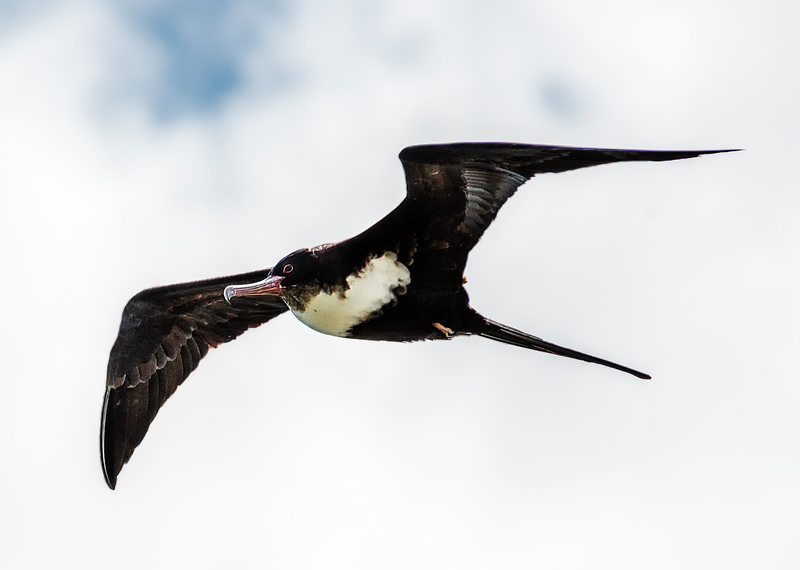 They then fly nonstop to Hawaii, where they spend the winter months. The flight to Hawaii covers about 3,000 miles and takes only about 3 to 4 days. 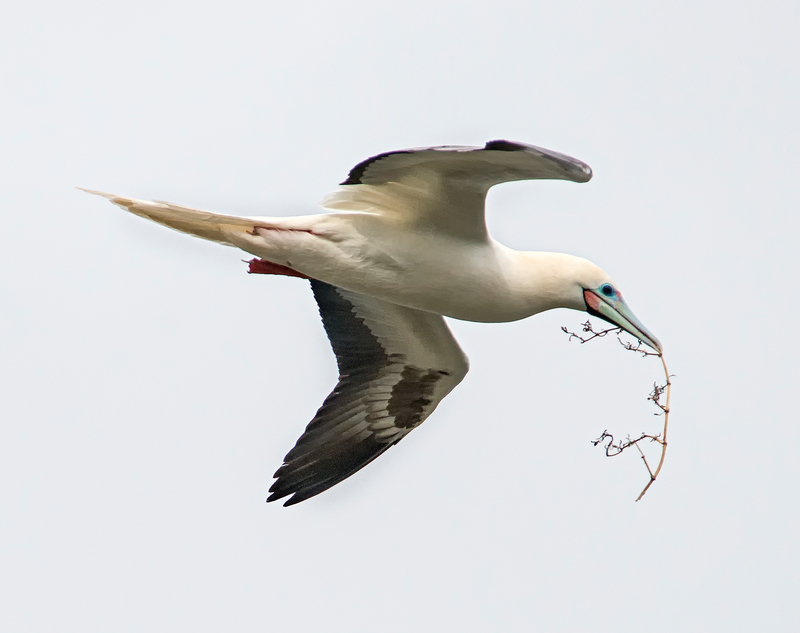 The birds return to Alaska the following summer, for a total round trip distance of some 6,000 miles. 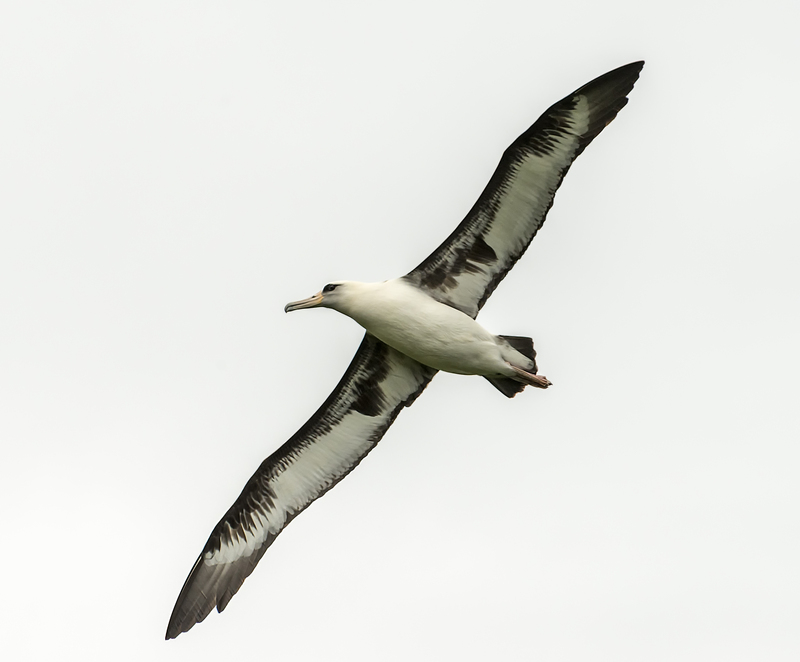 How they manage to find their destinations while flying over thousands of miles of open ocean is a mystery. 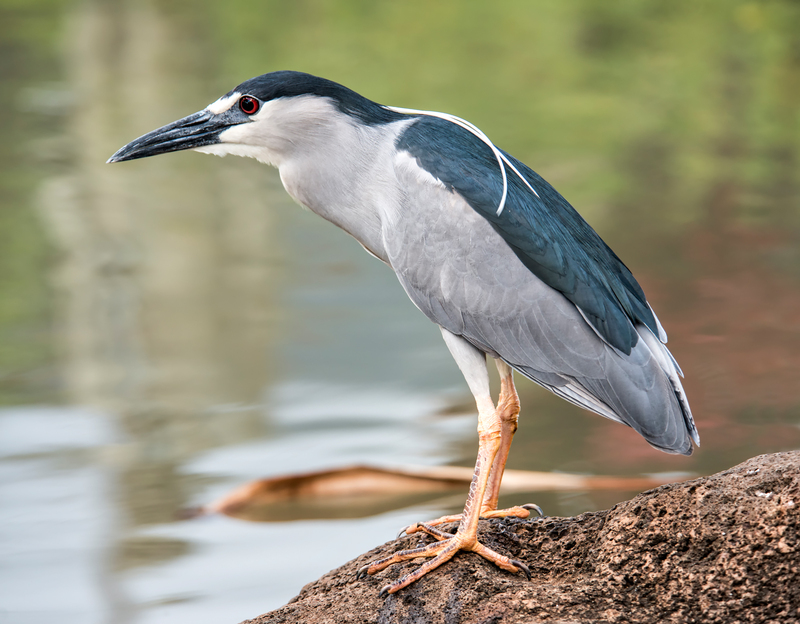 The black-crowned night heron (Nycticorax nycticorax) is commonly seen throughout Hawaii. 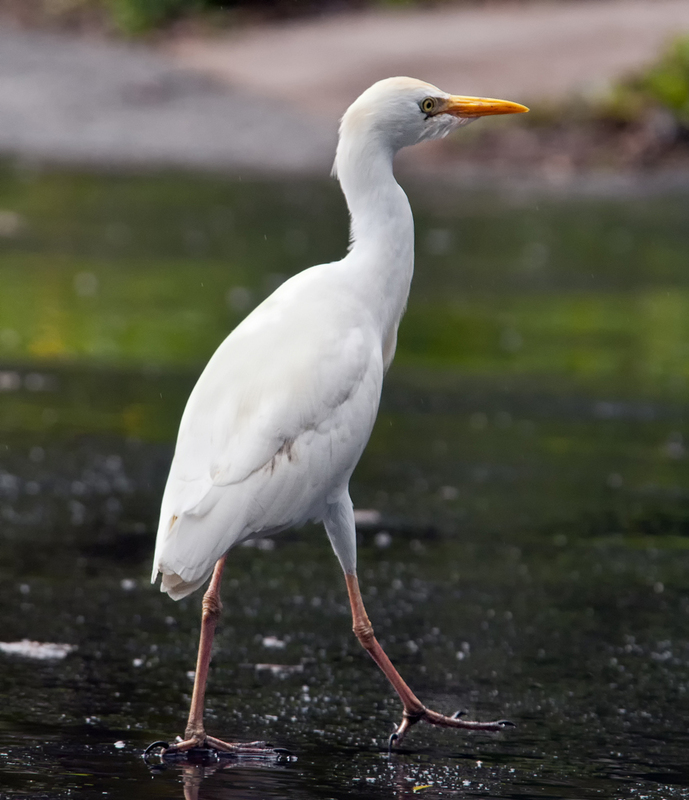 This one decided to hang out on a pond at The Mill House restaurant, on Maui. 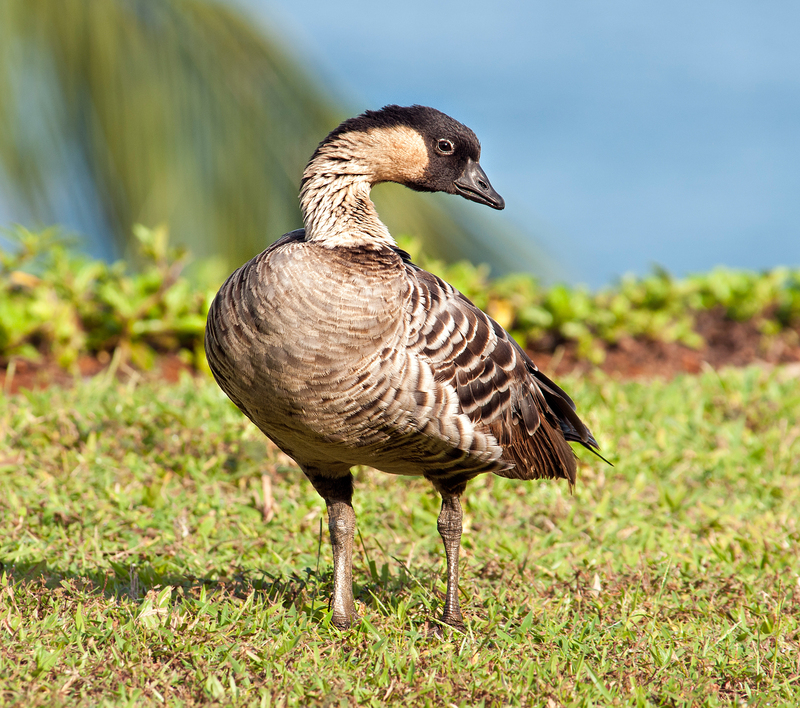 Like many other native Hawaiian species of birds, the nene is listed as endangered, a consequence of loss of habitat and competition for limited resources from imported invasive species of birds, including some of those described above. 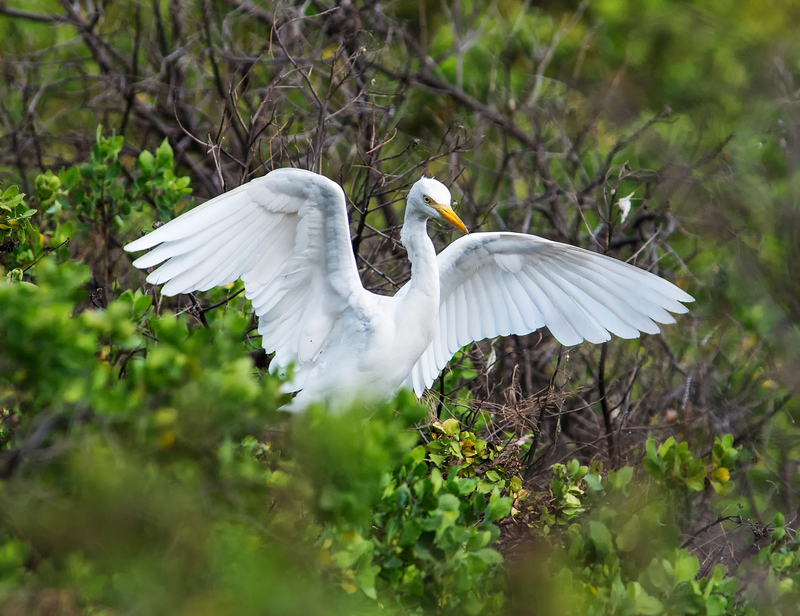 These photos present just a small sample of the wonders available for viewing at the Kilauea Point National Wildlife Refuge, the Kealia Pond National Wildlife Refuge, and other locations throughout the Hawaiian islands. 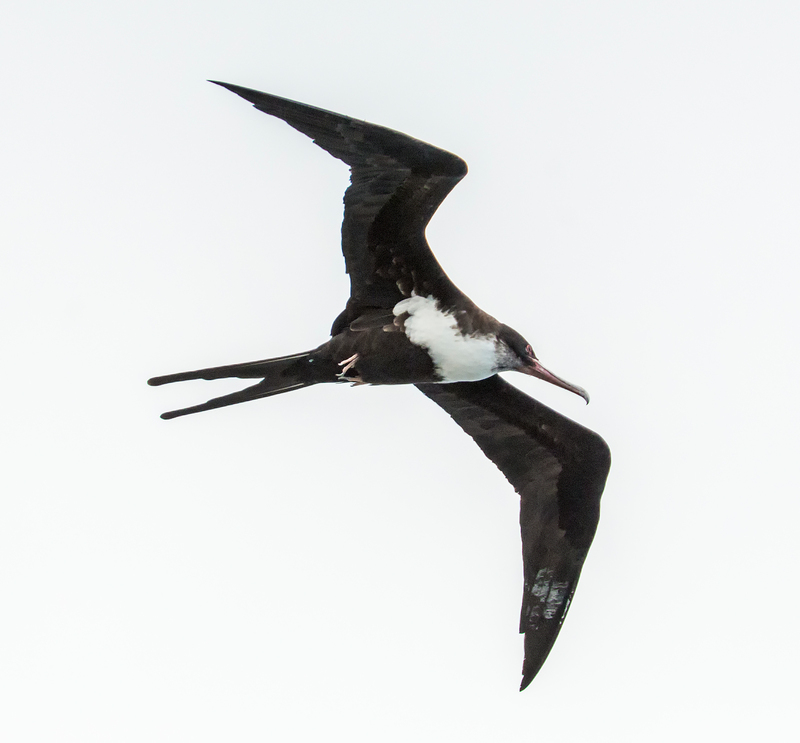 Apart from the amazing birds, you may also spot breaching humpback whales, bottlenose dolphins, green sea turtles, and rare monk seals (only 1,200 left on earth). 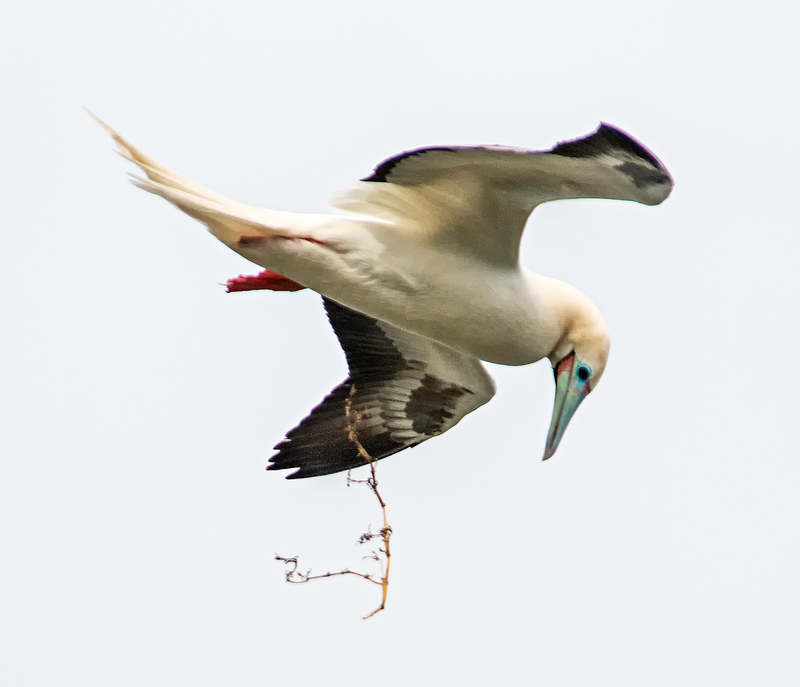 Other photos of Hawaii’s birds, as well as landscapes and other Hawaiian sights, may be seen in the Birds of Hawaii Gallery and the Hawaii Gallery on my photo website. For additional information about my photography, please see my photography Facebook page. I agree, whale season is the most azimang time of the year to visit Maui, Kauai and the Big Island. There is nothing like seeing a 50 ton animal hurl itself completely out of the water making a splash the size of a 4 story building. It is really a magical time to be in Hawaii. In Maui I recommend going on a snorkeling trip during whale season. Since there are so many whales in the water and the boats have to slow down and dodge them, you end up getting a two for one, snorkeling and whale watching. 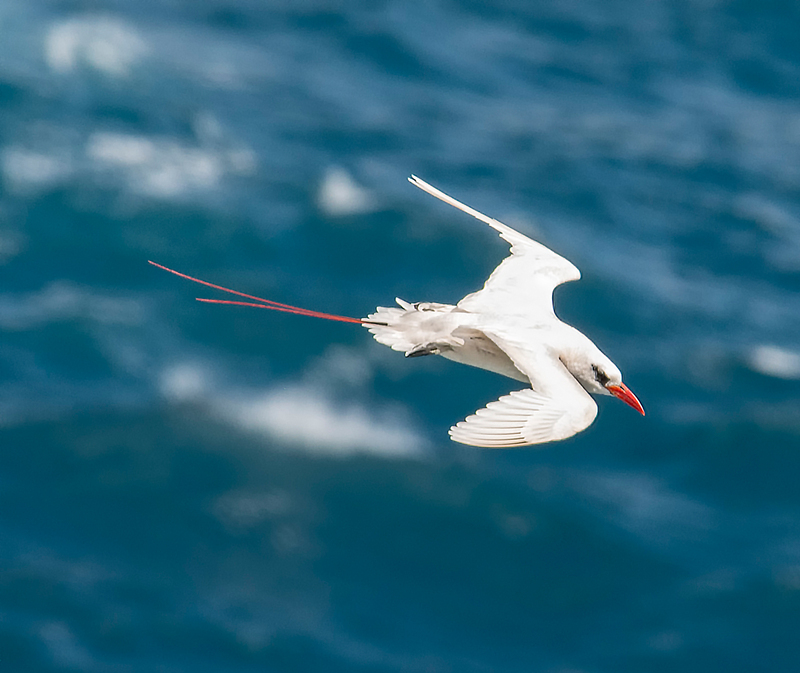 What lens did you use to photograph the birds illustrated above? And at what time of the year? I am going to Maui, Kauai, Big Island and Oahu in July 2019. 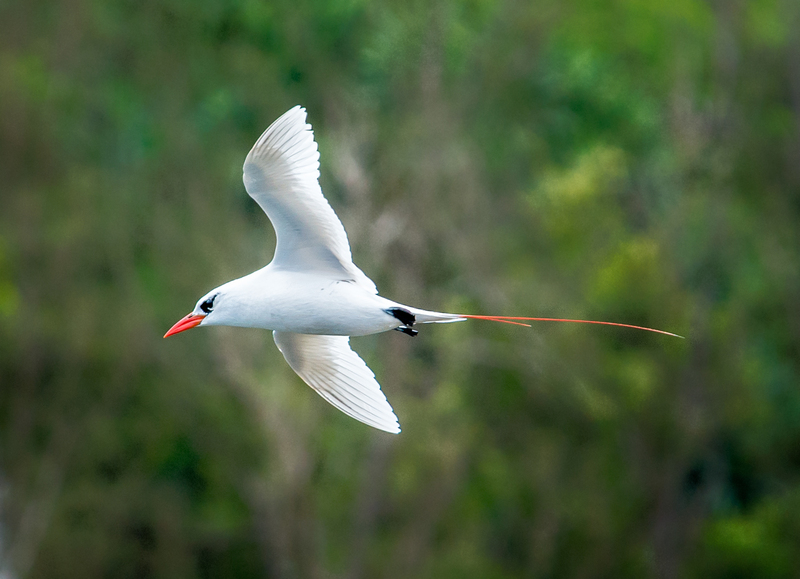 I will bring a 100-400 mm with a full frame body. 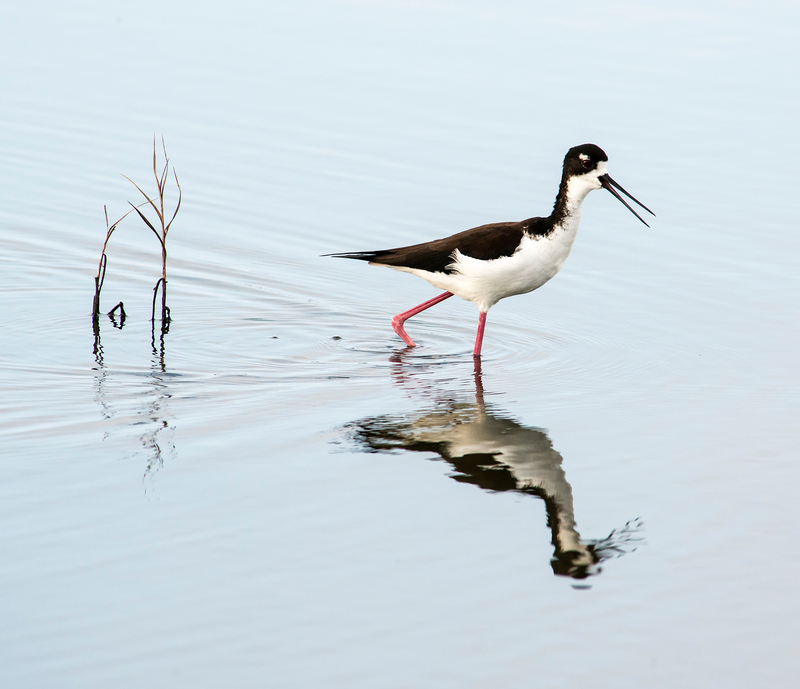 I am debating bringing a 600 mm lens. Do you think it is worth bringing a 600 mm? 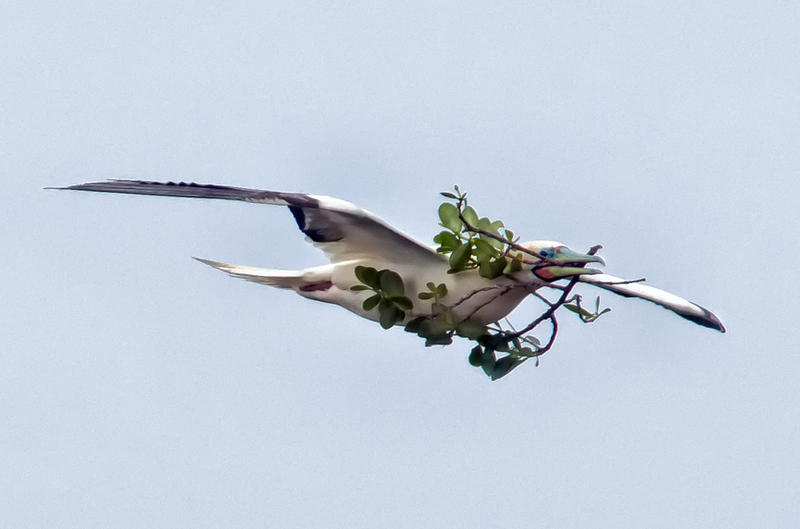 It is a challenge to carry a big lens on the planes and lug it around. Your advice will be appreciated. By the way, great images shown above.